Looking for something different than the typical Resort experience? Come to Point Village, Negril, Jamaica. Point Village is located in Negril, Jamaica approximately 60 minutes from Montego Bay’s Donald Sangster International Airport and less than 5 minutes from Negril’s Aerodrome. Situated on 14 acres of lush tropical gardens, the property is beautiful in its diversity. It features 24 hour Security, White Sand Beach, Swimming Pool, Tennis Court, Jogging Path, Unique Rock Pools (Pools that are carved from the natural rocks that are filled with the lapping waves from the Caribbean Sea), Beach Volleyball Court and Historical cultural taste of Jamaica. Perfect for Snorkeling and relaxing as you view the unique sunset. 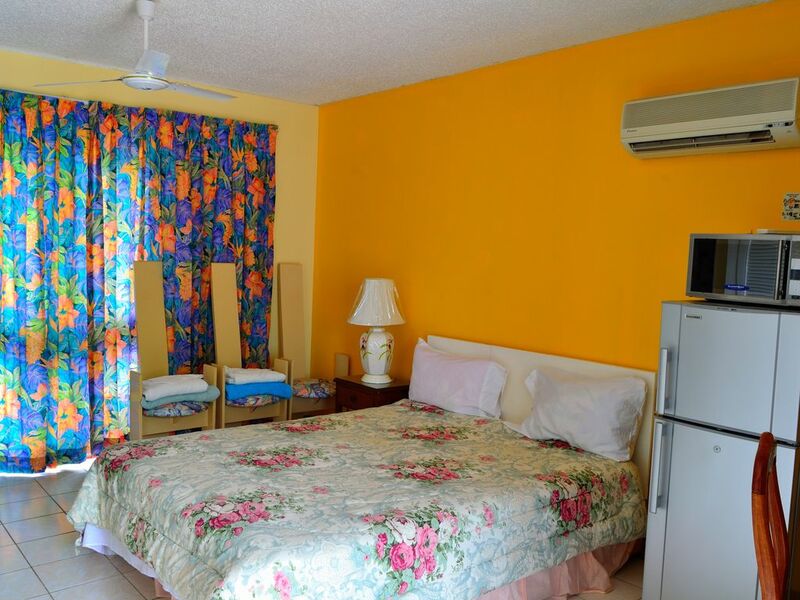 Unit is a fully furnished Studio Apartment and has a Kitchenette, Queen Size Bed, Washer and Dryer, A/C, Wi-Fi, Cable TV with 32" LED TV, Microwave, Refrigerator, 4 Burner Electric Stove with Oven, Blender, Toaster, Electric Kettle, Pots, Pans, Silverware, Utensils, Hair Dryer, Linen including Beach Towels. The rear balcony overlooks a garden and partial view of the Ocean. Occupancy for 2 Adults. There’s nowhere that’s more enjoyable than Point Village!! They have it all. Third time at Point Village and each time got better. This last stay for a month in a cozy studio was the best! Will definitely go back next year. The condo is very cozy and has everything you need to feel like home. This is my second visit to this lovely property and I hope to return again. Happy New Year! Thank you Lauretta for the great review much appreciated, it was lovely hosting you as well and looking forward to your future visit, take care and all the best for 2018.